Tuesday February 2nd, 6:30-7:30 p.m. 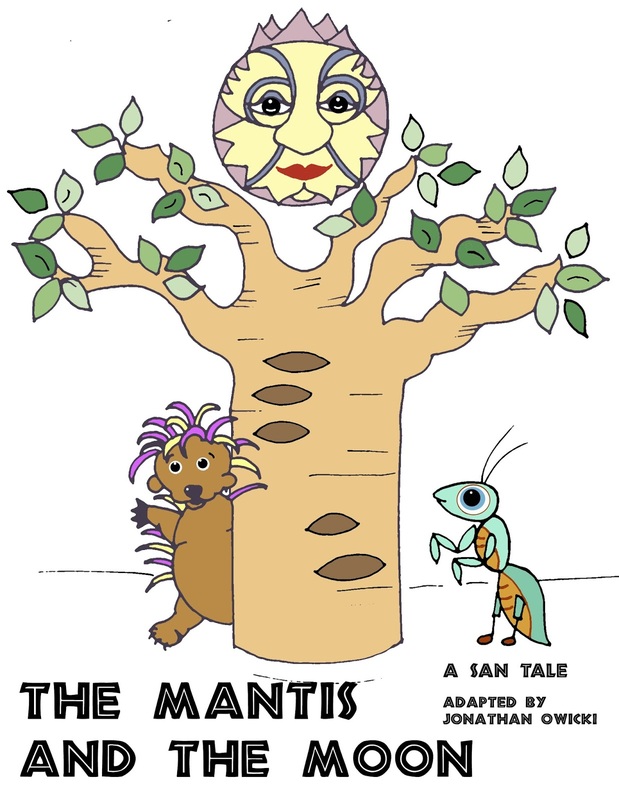 The proud praying mantis declares he will capture the moon and ride on top of it, so he can look down on all the animals who make fun of him. 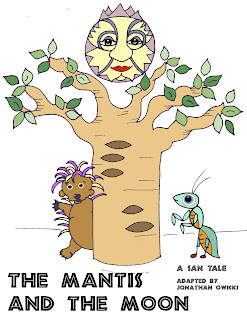 While his daughter, Porcupine, tries to gain his attention, Mantis focuses on his desire to achieve greater heights. All ages are welcome to attend. Bored with nothing to do on a day off from school??? Stop by the library on Monday February 1st for fun in the Puett Room! We'll have all the fixings for you to get a head start on making your Valentine's Cards. Plus we'll have board games available so you can play with someone you love! Stop by anytime between 2 and 4 pm in the Puett Room. All ages are welcome to attend. Drop in to the Puett room on Sunday January 23 from 1:30-3:00 pm to work on your LEGO® creations with other builders and give our race track a spin! 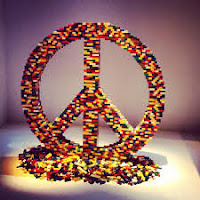 We'll supply all the building blocks; you bring the creativity! Kids ages 5 and up are welcome to attend. Enjoy the country/roots music of identical twins Carli and Julie Kennedy in their musical role as Twin Kennedy. With Carli on guitar and Julie on fiddle and bass guitar, this Canadian duo from Victoria, British Columbia will share seamless harmonies and heartfelt songwriting. Please come enjoy their music on Saturday, January 23rd, 2-3 p.m. in the Burgess Community Room. This Drop-in Monday join us is celebrating the life and legacy of Dr. Martin Luther King! We will be watching the movie Our Friend, Martin and doing a craft activity. Grab your favorite stuffie and join us for Stuffed Animal Sleepover on Saturday, January 16 from 1:30-2:30. Teen Library Council will host a craft and fun-filled event, including a stuffed animal hospital and a storytime! Leave your stuffie in our care and it will spend the night exploring the library. Return the next day to pick it up along with pictures of it's grand adventures! 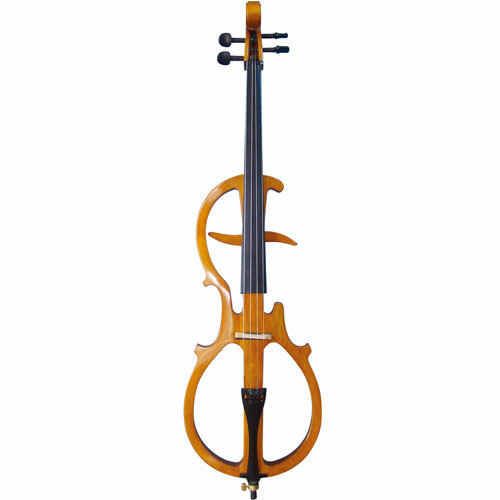 Composer and electric cellist Gideon Freudmann will perform a musical fusion of blues, jazz, folk, classical, rock, and more. His music has been featured on "All Things Considered" on National Public Radio and the television series "Weeds". 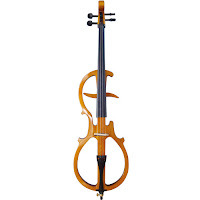 Come enjoy this amazing one-man cello performance on Wednesday January 13th at 7 p.m. in the Burgess Community Room. All ages are welcome to attend. 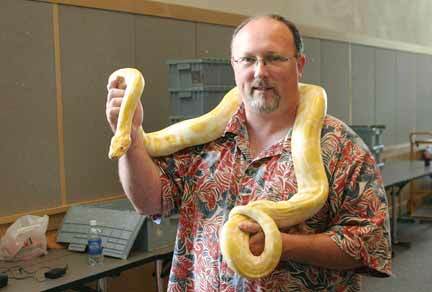 The Reptile Man, everyone's favorite reptile guru will be back for our January 12th Super Tuesday. He'll be here with his menagerie, so you'll see lots of live, slithery specimens, learn cool facts, and even get a chance to touch a reptile yourself! Join us in the Burgess Community Room at 6:30 p.m. All ages are welcome to attend. 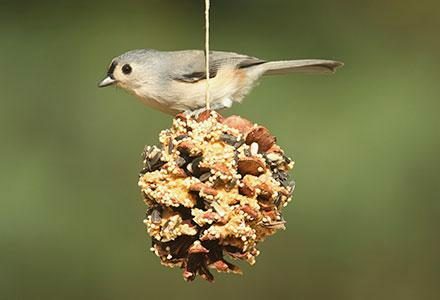 Join us on Sunday, January 10th from 1:30-2:30 p.m. to create bird feeders from pinecones and recycled materials for your neighborhood birds. Learn a little about the different types of birds you may find in your backyard and play the bird beak game. Arts and science fun for the whole family! Did you or someone in your family get some new technology gadgets over the holidays? If so, you are more than welcome to come for an open session to get answers to technology questions about using your gadget. Want to know about settings? Or apps? Or how about downloads and file management? Bring your tablet, phone, laptop, or other digital gadget and your questions. The library will also have some devices available for practice use too! Stop by the Technology Room on the 2nd floor of the library on Wednesday, January 6, 7-8:30 p.m. The Library is starting off the new year with some good news! Thursdays Are Back at the Library in January… and so is the coffee shop! Beginning Thursday, January 7th, the Library will re-open on Thursdays from 10 a.m.-9 p.m. Hungry for some help keeping your New Year’s Resolutions? Thirsty for some good, free live music? Or simply looking for a cozy place to get together with friends and combat a blustery January? Now you’ll be able to feed your information needs seven days a week!!! If you’d like to feed your body as well as your mind, check out the new Literary Feast Café in January. Owner Joslyn Webster said the café will offer organic gourmet sandwiches, soups, salads, smoothies and pastries. The Literary Feast will also feature coffees and teas from Portland-area companies. Webster and her family are Tigard residents, avid readers and library users. Each item on the menu will be named after a book. Visit us at the library this month and indulge in both literary and culinary treats!